I’m always looking for new objects to photograph, preferably large nebulae as I often use a small refractor with a short focal length. I’m using Aladin Sky Atlas which is a fabulous software for science but also for choosing a target. It lets you draw the field of view of your telescope and overlay it on different images of the sky, giving you a perfect preview of what you can expect for a future image. In this quest for a new target, I noticed that a particular and large region in the Cepheus constellation had a interesting characteristic : In a 7° field of view, there’s 6 different deep sky objects : An open cluster, a galaxy, a dark nebula, an emission nebula, a planetary nebula and a reflexion nebula. That’s it : This will be my next goal, but It’ll be a tough one. 7 degrees in the sky is a quite large area (14 times the size of the full moon), and despite the tiny 310mm focal length that I’m using, a mosaic was the only way to achieve my goal. I have mixed feelings about mosaics. I made a 9 panel mosaic of Sadr region in 2015, and to be honest it’s been a true challenge and a lot of work to get what I had in mind. In this case a 6 panel mosaic would be sufficient. As I’m living near a big city (Paris, France), there’s a lot of light pollution in my area. 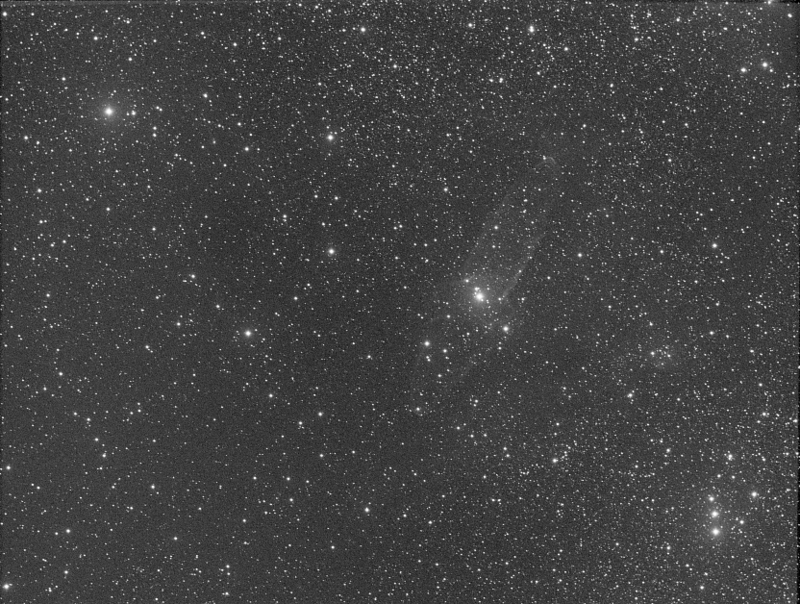 I’m now doing Narrow Band Imaging. It’s useful in polluted areas like mine, but you can only take photos of emission and planetary nebulae. 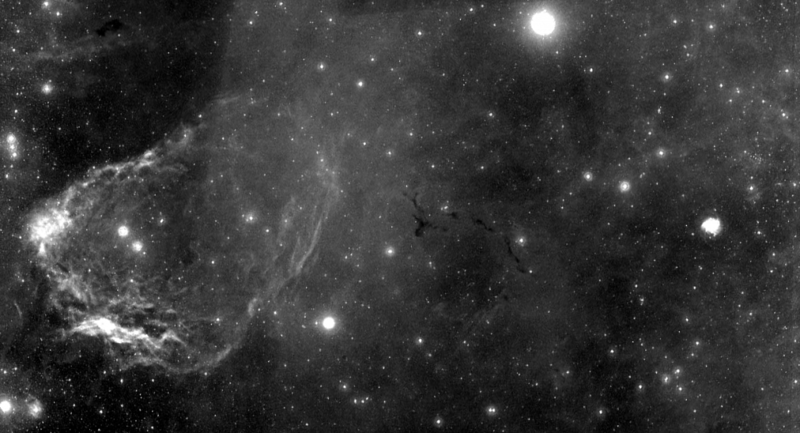 I’ll have to use narrowband and common LRGB filters then combine the images. 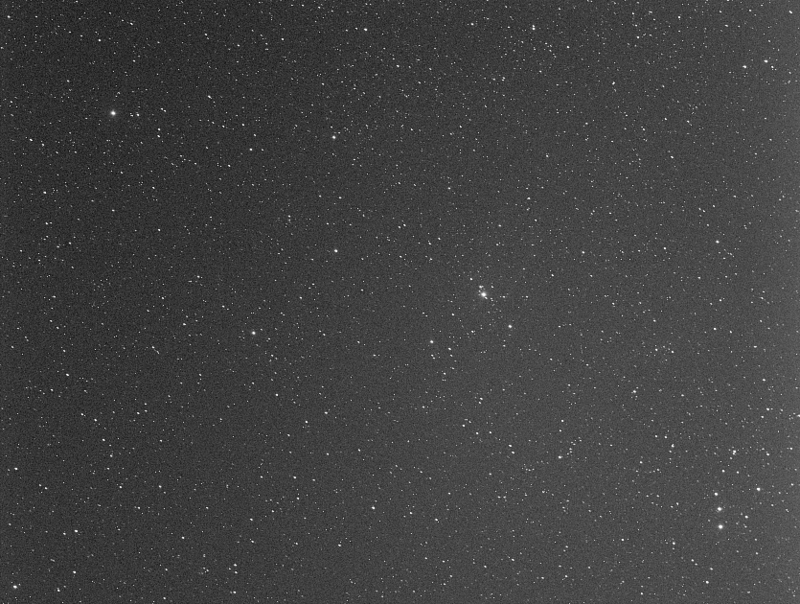 One of the objects, the planetary nebula Ou4, is very faint. So faint that it’s been discovered only 5 years ago, in 2011. I wasn’t even sure if I could take a decent picture of it. Late august 2016 I started imaging the mosaic, and decided to start with the hardest part : The Ou4 Planetary Nebula. 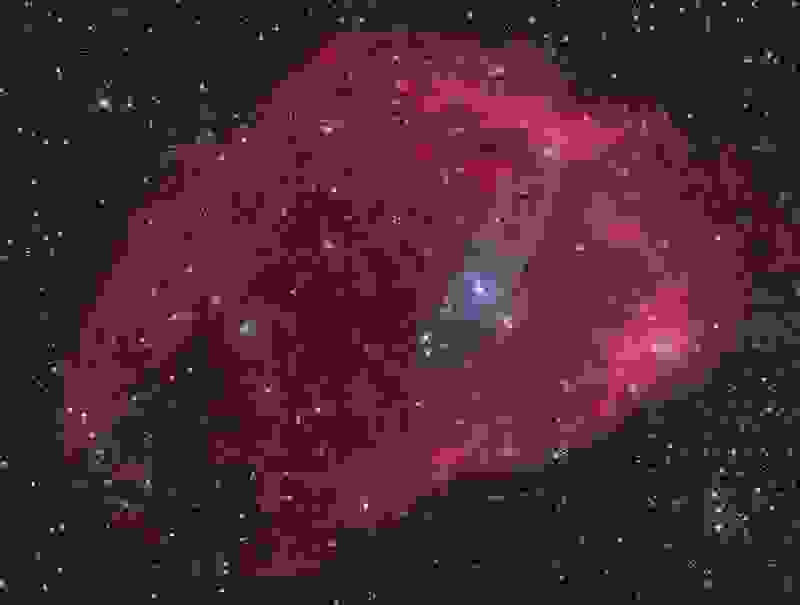 This type of nebulae and this one in particular are rich in Oxygen and emits in a particular wavelength. I’m using an Astrodon 5nm wide OIII filter. In order to get a maximum of photons, I used (for the first time) 20mn subframes. 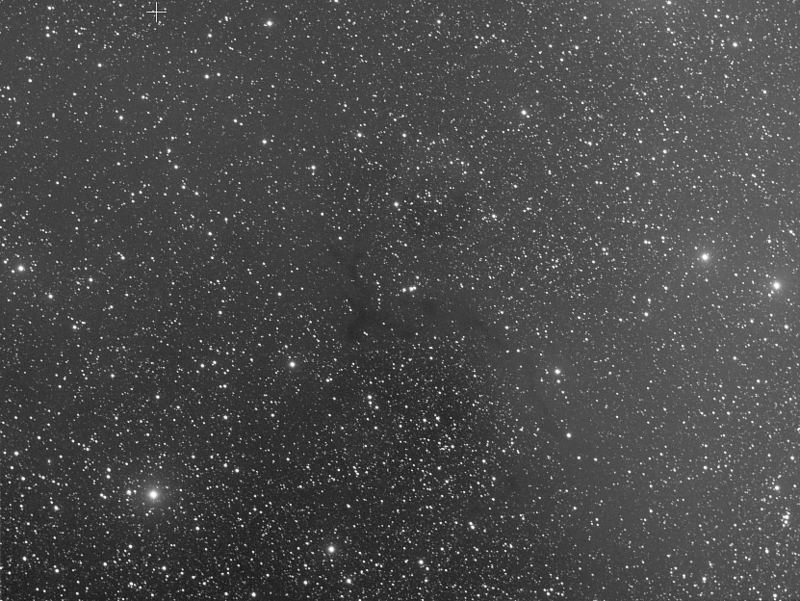 In order to increase the Signal To Noise (SNR) ratio, I made a lot of images during 5 nights for a total of 19h20m of exposure only for the OIII filter on this nebula. This was also choosen as the Image Of The week on Photographing Space. This successfull first image gave me the motivation to continue working on the mosaic. I made the acquisitions of the Barnard 150 Dark Nebula the 23 september 2016. 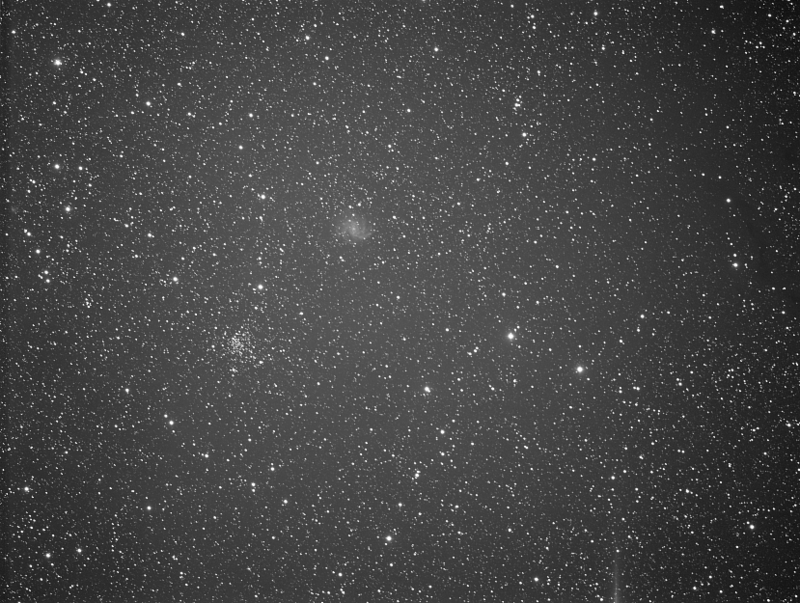 The next image I made was the duo NGC 6939 (an Open Cluster) and NGC 6946 (the Fireworks Galaxy) on 28 september 2016. A galaxy, an open cluster, a dark nebula, an emission nebula and a planetary nebula. 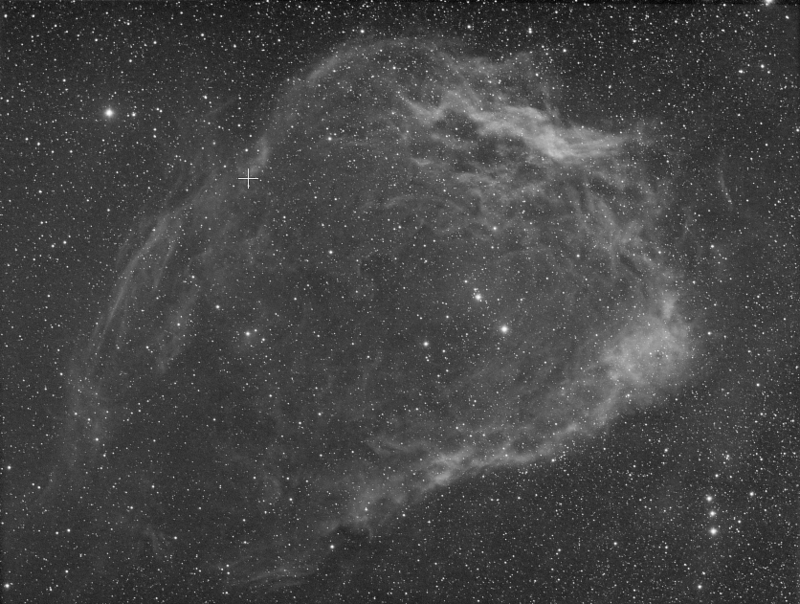 But the reflexion nebula VdB 140 wasn’t there and I had to make the 3 other panels. The 4th panel has been made using LRGB and Ha filters. VdB is a reflexion nebula but is also an emission nebula. This panel has been made over two nights (29 sept and 02 oct 2016). The 2 others panels with “only” stars have been made in LRGB in a single night (3 oct 2016). In the morning of the 4 october 2016 I had all the images I needed to make my mosaic. I used PixInsight and Photoshop to make the final image. 9 days later the image was finished. I’m not very pleased with the edges of the panels and there’s a lot of distortion in the image but here it is. This image is made of 294 subframes for a total of 46h53mn of exposure. This has been shot over 11 nights. This is to my knowledge the first time those 6 objects appears in a single picture. It was my greatest challenge so far. I’m happy to share it with you and hope you’ll like it.